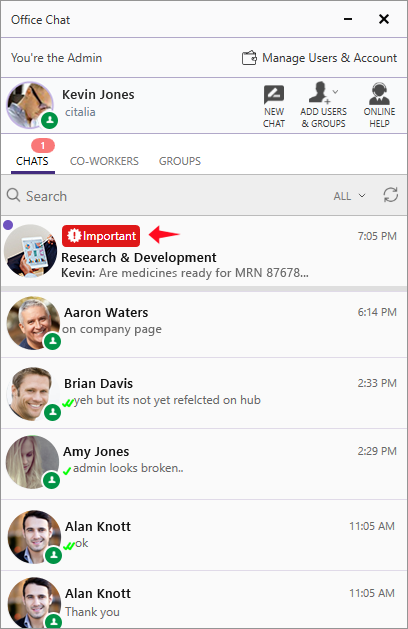 Office Chat v2.11 has been released on Mar 19th & Mar 20th for all platforms. It includes the following new features & improvements. 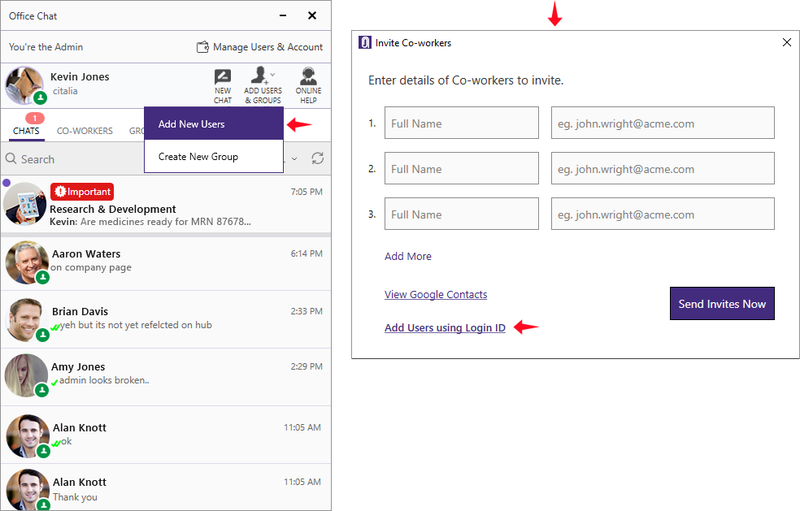 Regular instant messages in Office Chat work perfectly for most situations. But some situations are so time-sensitive that they could use a stronger signal. 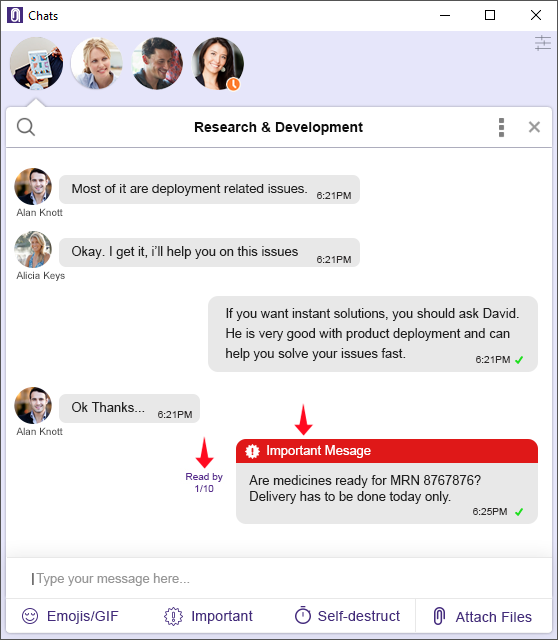 That’s why Office Chat is introducing Priority Messaging, to help you emphasize your most important messages and encourage quicker response times. Keep the message at the top of recipient’s inbox until they are read. Generate a special notification sound to get the recipient’s attention. Override any muting setting that may have been set by the recipient. Generate notifications twice, with a gap of 2 minutes if they are not read (on Windows Desktop & Mac). Instantly give you visibility into when the important message was read. Additionally, if you’re waiting too long for a reply to your message, you can now re-send that message as an important message and get a response. 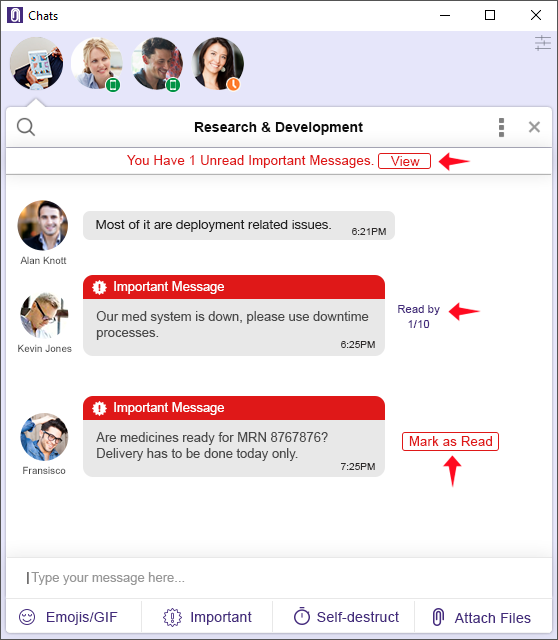 Finally, priority messaging can used to share urgent news with many people at once by sending it in a group. So for example, if there is some kind of system outage you can use priority message to send a important alert to all group members at once. 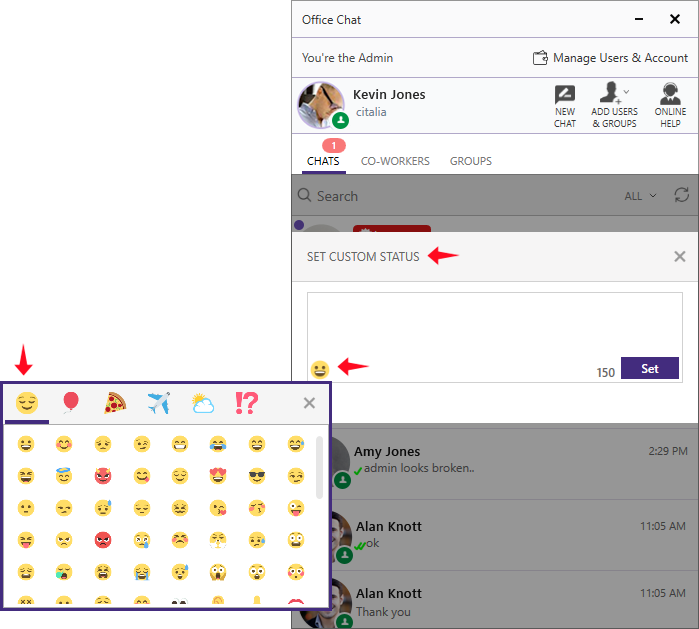 Emojis in custom status: You can now select from over 100s of emojis to include with your custom status message and bring fun to your work day. 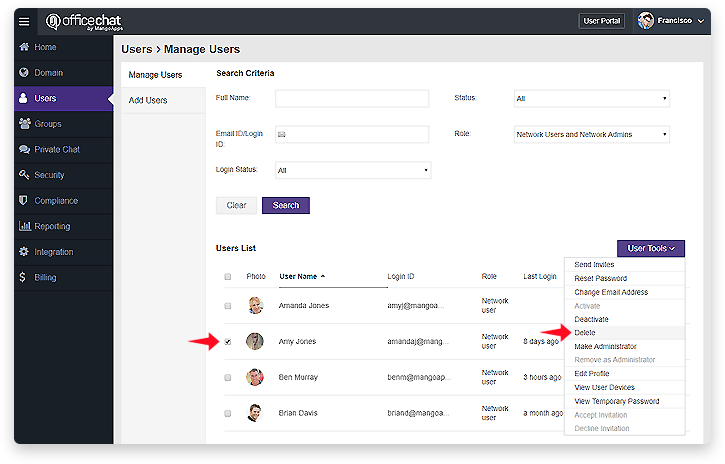 Add users with no email address: Domain admins can now add users without an email address from Office Chat Windows & MAC apps (which would open the web browser). HIPAA compliant plan self signup: Introducing “self-signup for HIPAA compliant” texting which enables healthcare organizations to safeguard electronic protected health information (ePHI) while still allowing an open flow of communication between authorized users. HIPAA plan includes all the features in Office Chat Enterprise Plan and requires an annual payment. More information on Office Chat HIPAA compliance is available here. If you already have an Office Chat account and would like to move to HIPAA compliant plan then please contact us and we’ll help set it up for you. Ability to delete users: Office Chat admins would now have the ability to delete a user (in addition to de-activating the user). Deleting the user will delete all groups created by the user and all the messages and files posted by the user in all group and private chats.